There’s much more to film in Chicago than new releases at the multiplex. The city is home to festivals of all sizes, from the Chicago International Film Festival to Reeling to CIMMfest. 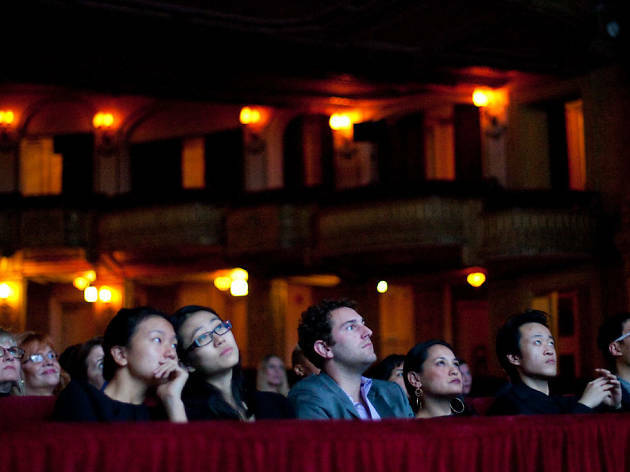 Outfits like the Gene Siskel Film Center, Facets Cinematheque and Doc Films serve as year-round fests. And then there are summer movies in the parks, along with special screenings and series at indie theaters, some of Chicago’s best bars and other venues you might never expect. April’s festival schedule includes the 34th annual Chicago Latino Film Festival, bringing more than 100 titles from the Spanish-speaking world to the AMC River East 21, and CIFF’s CineYouth Festival spotlighting work by young filmmakers at the Music Box. 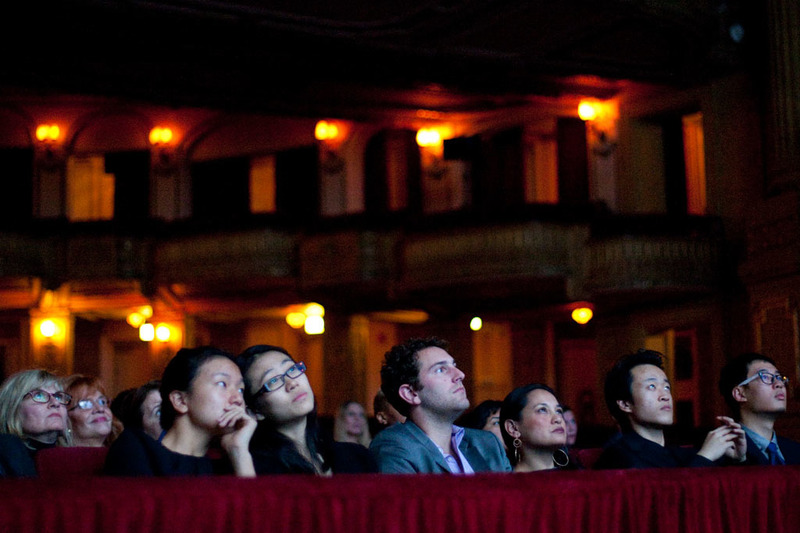 Take a look at these and more of the best movie screenings and events in Chicago in April. 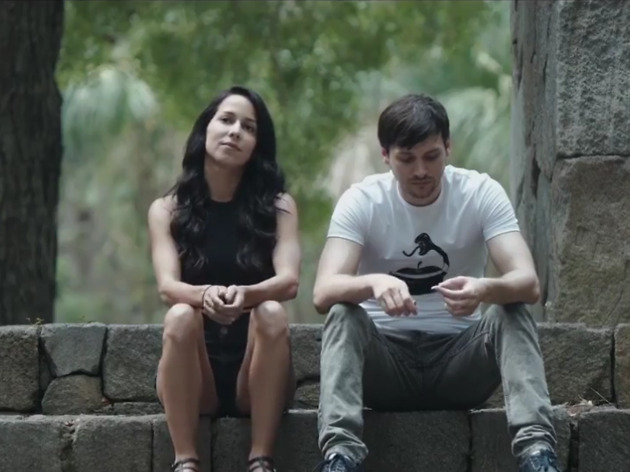 In its 34th year, the venerable Latino Film Fest offers a wide selection of features, documentaries and shorts from throughout the Spanish-speaking world. For a full schedule of screenings, check out the festival's website. 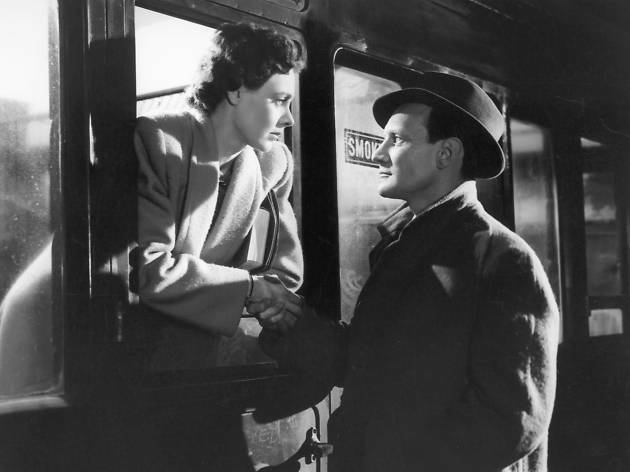 David Lean’s classic 1945 weepie about an affair that couldn’t last, adapted from a Noël Coward play (Still Life), is sheer perfection—the gold standard of tragic romances whose influence can still be seen to this day. 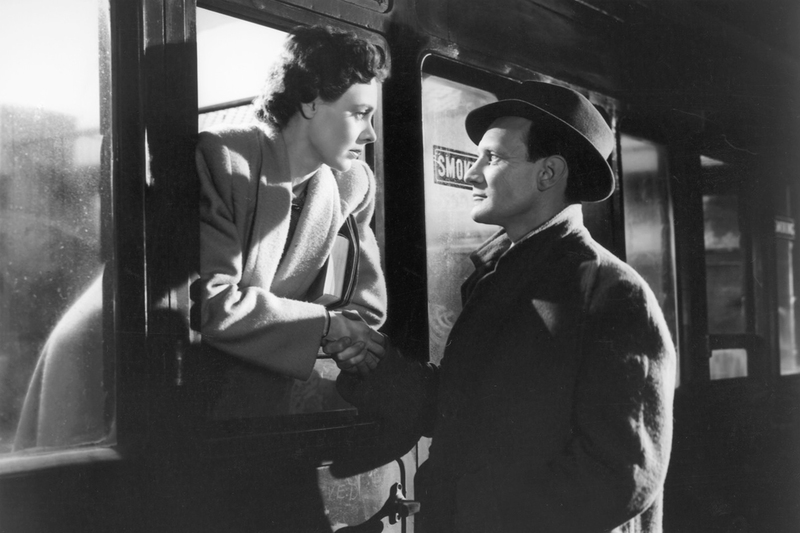 Celia Johnson and Trevor Howard’s repressed passion could fuel an English tank battalion, and the shadowy black-and-white cinematography—a love story drenched in noirish tones—is strikingly gorgeous. Doc Films. April 26 at 7pm; $5. 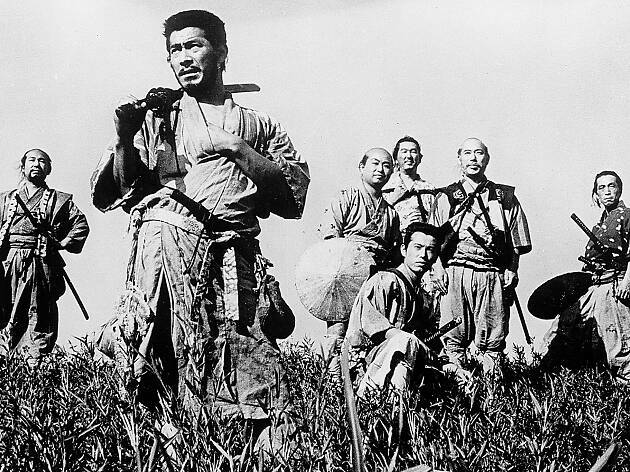 Akira Kurosawa’s masterpiece, testifying to his admiration for John Ford and translated effortlessly back into the form of a Western as The Magnificent Seven, has six masterless samurai—plus Mifune, the crazy farmer’s boy not qualified to join the elect group, who nevertheless follows like a dog and fights like a lion—agreeing for no pay, just food and the joy of fulfilling their duty as fighters, to protect a helpless village against a ferocious gang of bandits. Despite the caricatured acting forms of Noh and Kabuki which Kurosawa adopted in his period films, the individual characterisations are precise and memorable, none more so than that by Takashi Shimura, one of the director’s favorite actors, playing the sage, ageing, and oddly charismatic samurai leader. 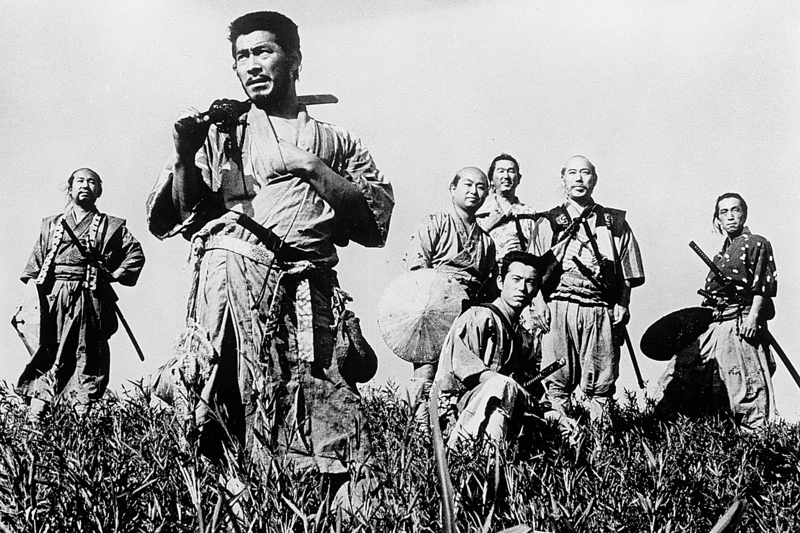 The epic action scenes involving cavalry and samurai are still without peer. Logan Theatre. April 10–12 at 10:30pm; $9. Swirling with mystery, obsession and extremely high vantage points, Alfred Hitchcock’s Vertigo is the ultimate San Francisco film, one that hints at a multitude of other Bay Area movies, even those made before 1958. As if hoping to prove that point (a somewhat obvious one), 2017’s The Green Fog remakes Hitch’s masterpiece, using only footage from other films and TV shows. The experience of watching it is disconcerting and suitably dreamy. All of the unrelated dialogue has been stripped (the Kronos Quartet provides a nerve-scraping string score), and several faces reappear: Clint Eastwood in the Dirty Harry movies, businessmen from ’70s soap operas having three-martini lunches, Glenn Close in Jagged Edge and dozens of confused others. This is high-level Film Geek Studies for sure, and a return to Vertigo will be helpful in advance; luckily, the Siskel is screening both movies (Vertigo in 35mm), and offering discounted admission to one with tickets to the other. You can make it a back-to-back double feature on April 27 or 28. Gene Siskel Film Center. The Green Fog: April 27 at 4:30pm; April 28 at 3:45pm; May 1 at 8pm; May 3 at 6pm. Vertigo: April 27 at 2pm; April 28 at 1:15pm. $7–$11, members $4–$5. Protocol dictates that a reviewer mention something of the plot and characters before him. 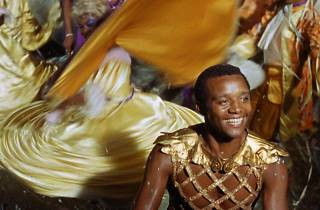 And when the film in question is one as primally joyous as Marcel Camus’s 1959 Oscar-winning Black Orpheus, set in a vibrantly alive Rio de Janeiro, surely such a task shouldn’t seem a chore. But let’s not kid ourselves. 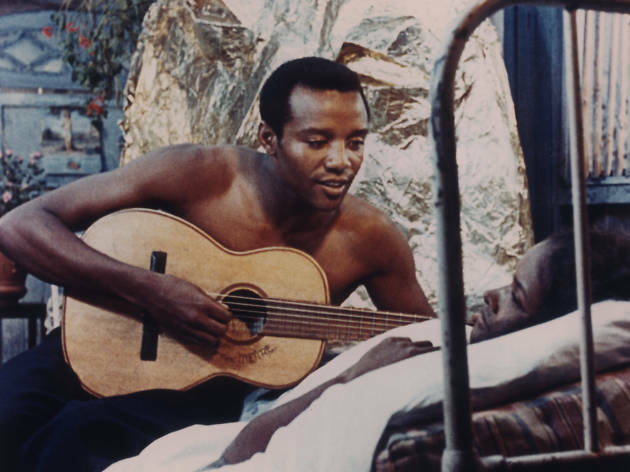 If ever there was a movie as rapturously—even solely—about its music, it’s this one. Black Orpheus announced Brazil’s bossa nova loudly and proudly to a huge international audience, one that would never shimmy up to a prospective lover quite the same way again. 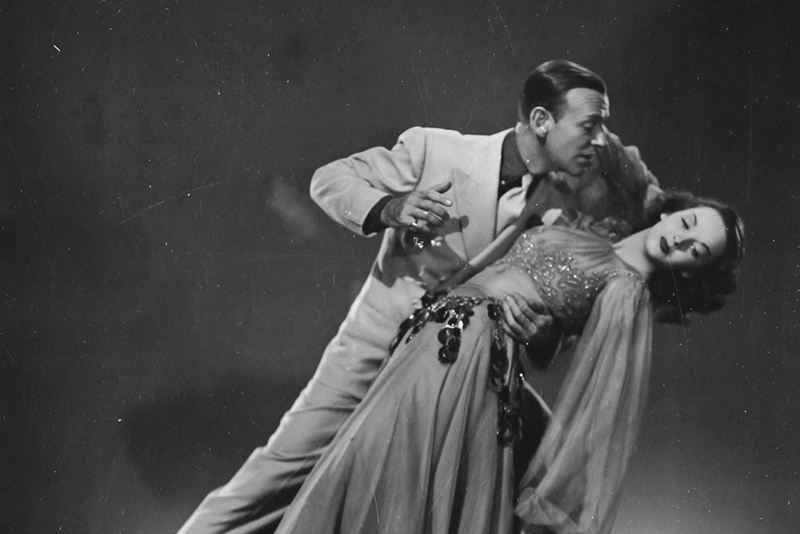 The film’s composers, Antonio Carlos Jobim and Luiz Bonfá, would go on from their toe-tapping contributions to even more success—Jobim in particular with “The Girl from Ipanema” three years later. But the movie stoked the interest that made the song a phenomenon. Oh—the story is an updating of the ancient Greek myth about the renowned lyre player and tamer of wild beasts, whose love for Eurydice proved his undoing. Happy? 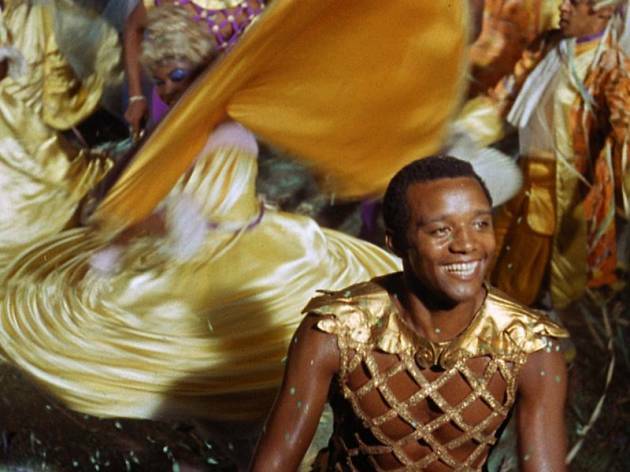 Stick around after the screening for a Q&A with Facets program director Charles Coleman. Harold Washington Library Center. April 14 at 1pm. Free. 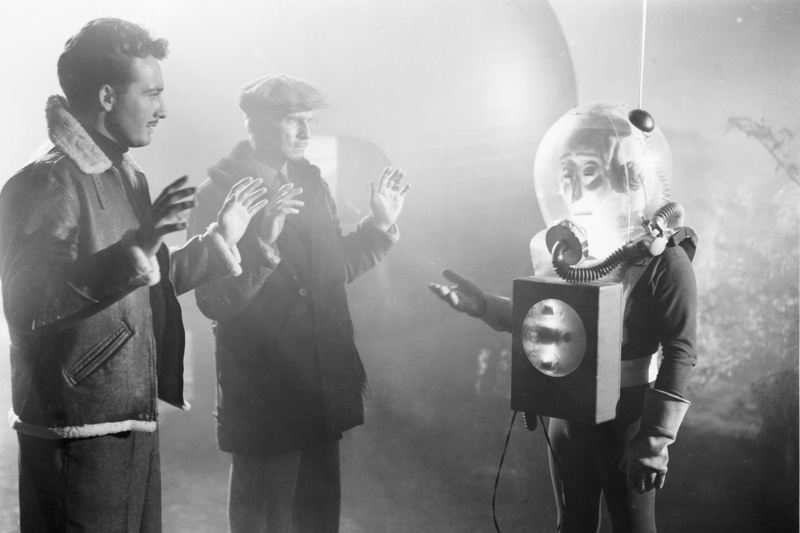 B-movie auteur Edgar G. Ulmer made this 1951 microbudget sci-fi flick about an extraterrestrial scout’s arrival on a tiny Scottish island. 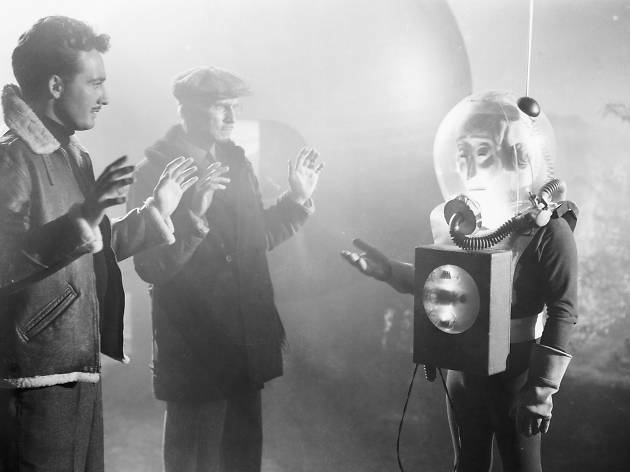 By some accounts, The Man from Planet X was the first alien-invasion picture, beating Howard Hawks’s The Thing from Another World to the screen by a few months. See it in 35mm courtesy of the Chicago Film Society. Northeastern Illinois University Auditorium. April 10 at 7:30pm; $7. The Davis Theater celebrates the return of the national pastime with four weekends of late-night baseball movies, beginning March 30 and 31 with Major League, followed by A League of Their Own, The Sandlot and For Love of the Game. Plus, Chicago journalist Mark Caro’s “Is It Still Funny?” screening series moves to the Davis for a showing and discussion of the 1976 kids’ (?) 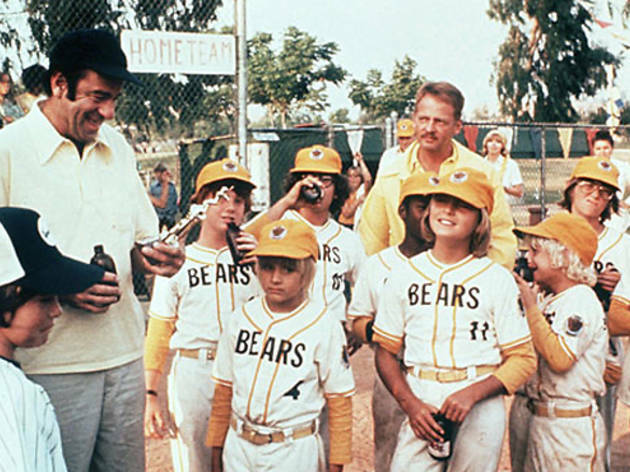 movie The Bad News Bears. Davis Theater. Major League: March 30, 31 at 11:30pm. A League of Their Own: April 6, 7 at 11:30pm. The Sandlot: April 13, 14 at 11:30pm. For Love of the Game: April 20, 21 at 11:30pm. All $5. 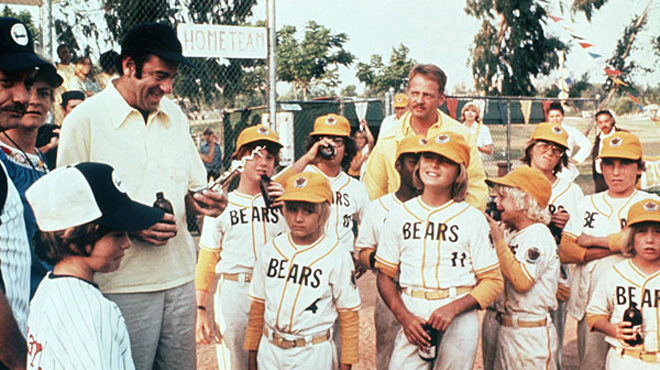 The Bad News Bears: April 10 at 7:30pm. $12. The Chicago International Film Festival’s CineYouth mini-fest, now in its 14th year, showcases works by filmmakers 22 years old and younger from around the world. 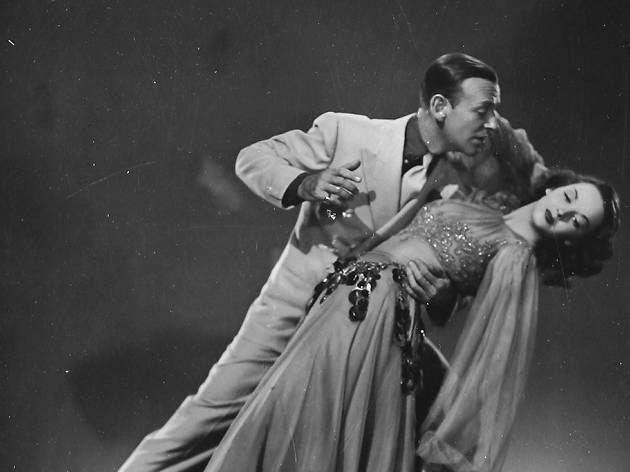 Fresh out of the convent, naive heiress Yolanda (Lucille Bremer) becomes an easy target for charming confidence man Johnny Riggs (Fred Astaire) and his sidekick, Victor Trout (Frank Morgan). This odd-duck 1945 MGM musical from director Vincente Minnelli has a seriously surrealist bent—check out the Dali-inspired designs in the 16-minute-long dream ballet. See for yourself when the Chicago Film Society screens it in 35mm. Northeastern Illinois University Auditorium. April 18 at 7:30pm; $7.